Stripes, dots, colour blocks and texture give vitality and pep to the Mosaici & More theme. 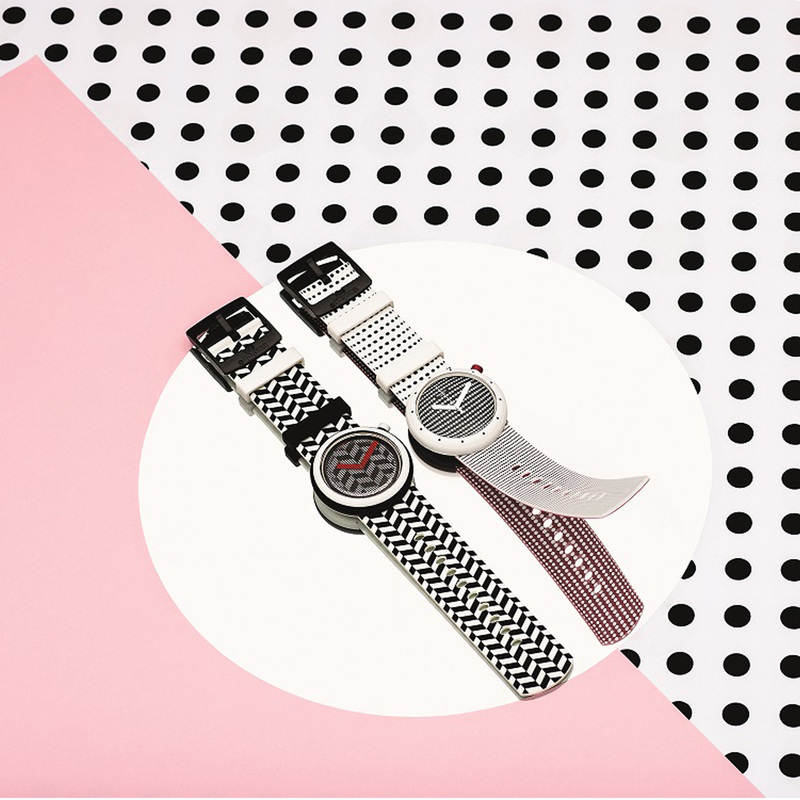 Inspired by summer’s hottest colours, energizing patterns and asymmetrical designs, the theme turns your wrist into a gallery of geometric art. In store from 2nd March.